Further Comments: The spirit at work within this building could be that of a worker who fell from the roof during repair work in 1931 - he died a week after the accident. Further Comments: Both Screen 4 and the toilet area are reputed to be haunted by a hooded figure. Cold spots and strange sounds have also been reported. The cinema stands on the former site of Newnham priory. Further Comments: This shade claimed to be a 1920s coach driver when contacted by a medium, which was called in after evening workers reported flickering lights and cold spots in the building. 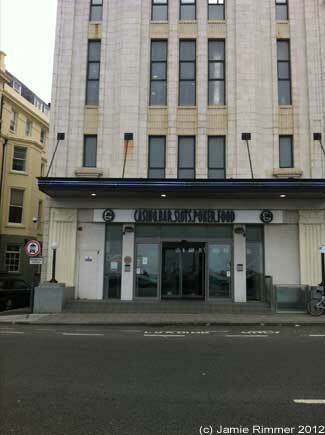 Further Comments: This cinema operated from the site of an old Turkish bathhouse. Cinema staff would report the sound of running water and clouds of steam which appeared from nowhere. Further Comments: The phantom footfalls have been heard moving across the stage area, several previous managers mistaking the sounds for that of intruders. Further Comments: These eerie footsteps have been heard pacing in empty rooms on the first floor. Further Comments: A former manager, this spirit has been seen in full evening dress in various parts of the building. 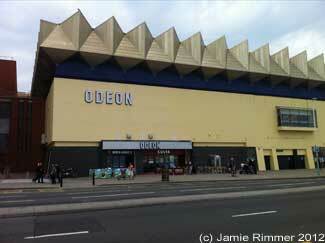 Further Comments: Objects have been reported flying through the air in one room in this cinema. Moaning is also heard from the same area. Further Comments: After opening in 1913, an actress is said to have committed suicide in this theatre by throwing herself from a balcony. She may have been seen in the early 2000s by members of the public who complained that a woman had opened a fire door (one witness said she was wearing old fashioned clothing). When staff investigated, the door was secure. Staff report that screen one has a bad feeling, while the second projector room has a warm inviting feel. Further Comments: Strange sounds, darting shadows and icy cold patches of air have all been blamed on the presence that may haunt cinema screen 6. Further Comments: A member of staff locking up at night after everyone had left watched a woman walk past him towards the toilets. The man shouted after the lady to be quick; she appeared to ignore him and disappeared into the restroom. After several minutes of waiting he knocked on the door. There was no reply, so he entered the room to see if she was okay - it was empty. Further Comments: Built on the site of a former priory, this cinema is haunted by a figure that could be a monk, though it appears to dress in 'normal' clothing. Further Comments: It is not known why this phantom woman in white chose to haunt the cinema, in particular Screen Two. Further Comments: Several staff and workers at the cinema encountered a ghostly figure which walked 3.3 metres off the ground. Research showed that a chapel had once stood on the site, its floor 3.3 metres higher than the cinema's. It is said that during the demolition process, several workmen fled the area after encountering figures passing through walls. Further Comments: This figure appeared several times to members of staff, slowly disappearing if approached or spoken to. During the 1950s local residents complained of loud organ music coming from the building in the early hours of the morning, even though the organ had been removed several years previously.